Join us the fifth Wednesday of the month to enjoy singing your favorite hymns for one hour. Quarterly trash pickup along Atlantic Blvd to support free advertising for the church. A monthly study of the basic beliefs of twelve denominational groups. Each member should plan to bring a friend, neighbor or relative to services, to introduce them to the OceanSide church and its people. Join us after Sunday evening service for our monthly Fellowship Unity Night (FUN) and enjoy dessert and time with your Christian brothers and sisters. 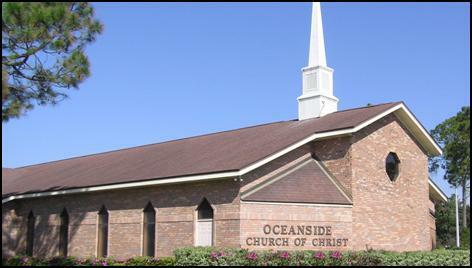 Join the OceanSide ladies for lunch and fellowship at a local restaurant. Appreciation luncheon for past and present military members. Begins after morning Bible class.